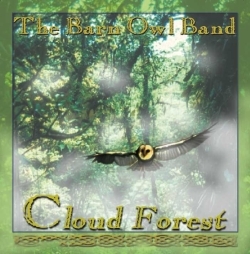 Cloud Forest is that other "recording in the works" spoken of in the description of Barn Owls Live on this same page. Most of this work is studio recordings we've done over the last several years, but we've thrown in a few live tracks from our 2004 concert, as well, after realizing they'd fit nicely in the mix. Collectively, it's a superb tribute to the tunesmiths in the band, with the title track being penned by Mike Bell. 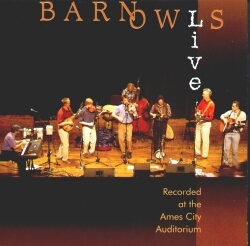 Barn Owls Live came out of a spur of the moment decision on Jon's part to record our second Spring Concert at the Ames City Auditorium in 2003. After listening to the rough mix, we all realized there was wonderful energy and some decent music there, too. So, even though we had another recording in the works, Jon went about editing and producing the live takes into our second CD. 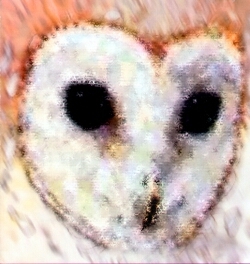 Dance Owl Night was our first recording effort. Recorded over a period of about a year, we finally released it in November, 2000, just as one of our fiddle players, Keith Fletcher, moved away. This recording, the tenacity of our new fiddler at the time, Jason Huntley, and efforts of the associate producer, Linda Fahey, were what helped us share the stage at C.Y. Stephens Auditorium when the Prairie Home Companion show came to town on February 23, 2002. This CD is still selling and a favorite of many.